Taking advantage of a traditionally large and young viewing audience, Apple during Sunday's MTV Video Music Awards debuted two Apple Music commercials featuring The Weeknd and a guest appearance by John Travolta. 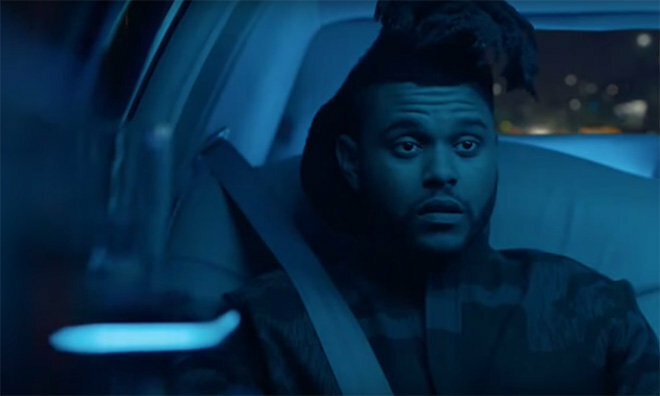 Apple dedicated some of its VMA ad space to a two-part episodic narrative, both starring The Weeknd, touting the artist's music and shining a spotlight on Apple Music's user interface, namely playlist functions. In the first minute-long spot we see The Weeknd exit stage right following a live performance and, grabbing the obligatory bottle of water, head straight out the backstage door to a waiting limo. After getting settled, he pulls out his iPhone —apparently running iOS 8 and no third-party apps —opens the Music app and taps over to Beats 1 radio. Apple timed the commercial to run after The Weeknd's actual VMA performance, but you wouldn't know that unless you watched the show, so we get a brief expository voice over by DJ Zane Lowe. As Lowe puts on The Weeknd's hit "Can't Feel My Face," we cut to limo driver John Travolta asking, "Hey man, I'm driving, but where we going?" The afterparty, of course. As promised, the second commercial picks up outside the afterparty, where we see The Weeknd exit Travolta's Uber and walk into a well-appointed flat slow-mo style. The fashionably late entrance is set to his latest track "The Hills." Once again the iPhone comes out, but this time the focus is on playlist creation, as The Weeknd deftly adds a number of songs to a list called "Late Night Party Vibes." When he posts the playlist to Apple Music everyone in the party disappears and up comes two taglines, "It's all in your head" and "Create your own party." The commercial wraps up with information about monthly streaming rates and Apple Music's logo. While today's Apple Music ads have yet to be posted to Apple's official online channels, a number of fans uploaded video captures to YouTube.